What are Styles in Word? At their most basic, Styles in Word are a quick way of applying a number of formats to a font in one go. 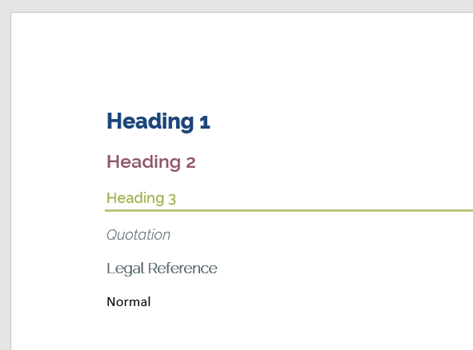 By applying a Style to a block of text, you can, at a single click, change it from the default “Calibri 11” to Arial, Size 16, Bold, with a blue colour & red underline… OK, that may be a little OTT, but once set up, Styles can not only speed up the creation of a document but also ensure that your document has a consistent “look & feel”. 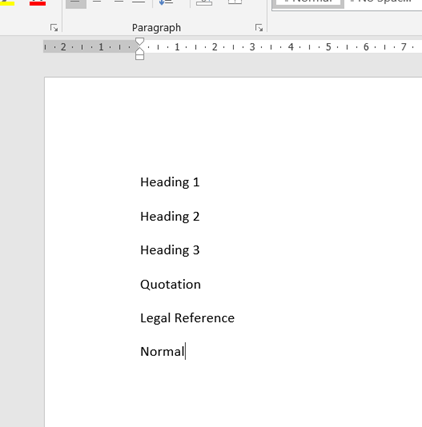 However, in addition to “making your document look pretty”, Styles are also used by Word to allow you to quickly create Tables of Contents in longer documents by using the text that’s been marked as Headings to drive the details of the table of contents and, once set up, if you then add in further content, a refresh of your table of contents updates it with all of your new information. Gone are the days when you typed your own contents pages & manually adjusted the page numbers. If you look closely, you’ll notice a thick grey border around the letters & word “Normal” – that indicates that the Normal style is initially being used to do any typing. By selecting some text & clicking on any of the other buttons (& there’s a lot more that you can’t see from the beginning) you’ll immediately change it from Normal to look like one of the various Styles shown. In addition, built in to Word (& accessible from the Design Tab are a lot more pre-formatted Word Styles – some good, others less so. So, back on the Home Tab, it’s possible to edit the default Word Style by Right Clicking on it & selecting Modify from the drop down. However, I prefer to use the option above that & get Word to update the heading to match a Style that I’ve created within my document. I do it this way as it enables me to quickly see how each of the heading styles will look in comparison to each other. 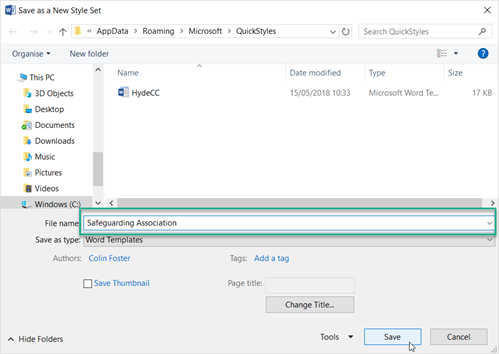 This entry was written by colinfoster, posted on June 1, 2018 at 4:43 pm, filed under Microsoft Word, Tips and Tricks and tagged Styles, Word. Bookmark the permalink. Follow any comments here with the RSS feed for this post. Comments are closed, but you can leave a trackback: Trackback URL.